I must admit this is the first time I have been to Long Division festival. Very, very poor for someone who lives ten minutes walk away from all the venues. This will be rectified from now on… and to be fair there’s only been two prior to this, so not too far behind! The festival, which takes place in venues around the Merrie City, but all within a few minutes walk of each other, starts on Friday evening with a few paid in gigs (or free if you have last year's T-shirt, or a homemade LD shirt! ), and ends Sunday, this year with a pop up cinema in the library showing films like 'Searching For Sugarman', live album recordings and comic book readings. The main bulk of the festival takes place all day on the Saturday, with bands playing for around half an hour each (larger bands play for an hour). The set is tight so this involves quite a bit of rushing about, and you are better off buying smaller drinks so you can finish them before you move on! Unfortunately licensing problems affect one venue, Velvet, and this can not open until 4pm, pushing the line up later into the day. This has a knock on affect if you want to watch other bands, but what festival doesn't have clashes? The amount of bands on the bill for an amazing price of just £20 (£30 on the day) is huge; you really are getting value for money. The only problem with having it in small venues is capacity issues, some people may well not get in to see the headliners if they do not arrive early, but this forces them to find another band, which may turn out to be their new favourite. There are seven venues (six, as one has two) spread over as distance of mere hundreds of yards. Wakefield has got a glorious Saturday, so it's a shame the festival isn’t outdoor, but you know Sod and his Law… Warehouse 23 (formally Black Flag, formally DNE, formally The Venue) is the largest of the venues, and hosts Morain, Too Many T's, Ghostpoet and headliners The Fall. It's a great venue, and is full to bursting for the main act, with many stood outside unlucky not to get in. The Hop has two venues, upstairs and downstairs. This popular place is chocka all day… I wonder if many people know the festival takes place elsewhere too?! The smaller Jam Inn, with its indoor campervan bar, is the wristband exchange point. The courtyard is serving come delicious smelling food; in fact the only problem here is getting to the bar! The Dissolutions, Nine Black Alps, and Allo Darlin' are among the acts to play in the cosy JD Roots stage venue upstairs, while The Coopers, Boxing Klub, and Ed Tudor Pole play in the Piccadilly Circus of downstairs. For the latter, the place is utterly rammed, and rightly so. Drury Lane is the new library. The books have all been removed so empty shelves are the backdrop to the bands. It is stuffy in here and the bar queue again is long, though it’s worth staying in there for bands like Piskie Sits, Olympic Swimmers, and Kid Canaveral. Besides, how many festivals have an actual library as a venue? The Theatre Royal has only recently become a live music venue, last year hosting The Cribs for a homecoming JD Roots gig. Today Josie Long, and Robin Ince perform Utter Shambles, then Howard Marks talks us through some of his past 'meetings' (it's not his first time at this theatre, though this time with less smoke) and Jeffrey Lewis & Peter Stampfel close the day here at the sober time of 9.30pm. Velvet, as mentioned before, is the smallest of the venues. The line-up is squashed together to accommodate everyone as it is opening over three hours late. Humanfly, Will Booth, Micky P Kerr, and Above Them all wow in there. The final place is The Orangery, a place I walk by every day and have never been in. Jasmine Kennedy, Dead Flowers, Maia, and RM Hubbert all play here over the course of the day, finishing at 9pm. The venue is used more for wedding receptions and artwork, so it’s a bright space, suited to the comic book stories and book readings on the Sunday for the Festival Fringe. Outside the Orangery is a red painted maze, called 'A Maze For Yorkshire' by artist Richard Woods. At a metre high, it may no baffle everyone, but I know some people who did make a wrong turn and have to start over… around the maze people are lounging about in the historic gardens catching the rare sunshine.  I must say that this festival is brilliant; lots of local bands to see, the band heats in the months prior to it mean that fans can have a look at potential acts for the bill. The locality of the venues, transport links (venues are a few minutes walk away from the train station), selection of beer (if you can get to the bars later in the day) and the amount of things to do make it well worth the money. Hotels are cheap too, the closest one was charging £40 per night throughout the festival, and that was last week. I will definitely be going back next year, well done to local promoters Rhubarb Bomb and Backstage Academy for yet another sold out event.